In 1968, The Beatles topped the charts with Hey Jude, and the first “manned” spacecraft orbited the moon. Simultaneously, New Brunswick’s Village of Belledune became a centre of unprecedented progress with the construction of a major deep-water port. The remote community saw hardware stores open. Gas stations and grocers flourished. Port expansions continued through the decades resulting in new customers and record traffic. The Port is fully committed to the “North Shore” where sandy beaches meet the warmest waters north of Virginia in the summer. 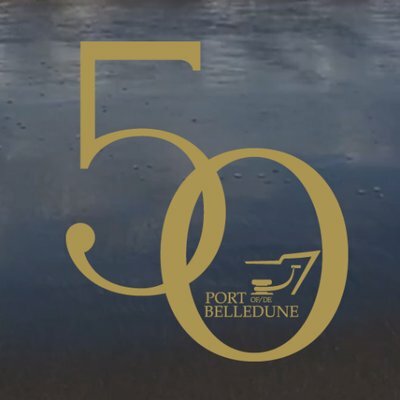 With only 15 full-time employees, the Belledune Port Authority (BPA) supports almost 2,000 direct and indirect jobs. Denis D. Caron, President & CEO of the BPA since 2016, says it’s an exciting time for the port to reach middle-age. “Last year we netted a profit of $2,685,200, which is an increase of 14% profit over the year before. We are delivering a better quality of life for our surrounding communities and will continue to do so. This policy is part of the port’s DNA,” Caron declares. Just five minutes off the highway, Port of Belledune facilities have direct access to the Atlantic Ocean via the Bay of Chaleur. This results in fast shipping times to Europe and beyond. The region has strong air connections too with the Bathurst airport only 40 kms away; Charlo airport is 45 kms, and the Moncton International Airport is 250 kms south. The port also welcomes 150 trucks per day, and 38,250 trucks annually. Fortunately, strategic investments over the years secured the port’s future with four diverse marine terminals. The first expansion took place in 1993 to meet the needs of a new coal-fired NB Power generating plant in Belledune. Shipments of coal and petroleum coke still comprise 47% of the port’s tonnage, but the future of the plant is uncertain. “Accordingly, we reduced our dependency and now handle 24 different commodities with a focus on bulk and break-bulk,” he explains. In 1998, a mixed cargo terminal was added. The port became a Canadian Port Authority in 2000, and shipping perlite since 2002 has advanced diversification efforts. A defining year was 2011 with the completion of two new terminals; a roll-on/roll-off terminal and another for barges. A new modular fabrication facility was built beside a second huge building for complementary services. This paved the way for new cargo types such as generators, modular homes and trailers. The BPA also acquired more land which now totals 1,600 acres. Danika Keeley, the BPA’s first female board chair, says a strong liaison with federal and provincial governments allowed the BPA to significantly improve its infrastructure. The BPA has adopted a new business development method concentrating on five specific growth sectors: Energy, Forestry, Mining and Minerals, Agriculture, and Modular. “Forest products have been in the cargo mix since the late 1990s,” notes Caron. “This year, we hit a milestone of 1 million tonnes of wood pellets exported by two shippers.” Wood chips are also exported to Turkey where they are turned into medium density fiberboard. The port ships salt to Morocco; petroleum coke to the US; coal to Columbia; sulfuric acid to Chile, and biomass to the UK—to name a few. In 2017, the BPA demonstrated its commitment to sustainability becoming the newest participant in Green Marine—the largest voluntary environmental certification program for the maritime industry in North America. Another highlight for Caron was signing an agreement with First Nation communities to establish a framework for consultation on future projects. “The port is situated on the traditional land of the Mi’gmaq people, so it’s essential we forge a path forward that is practical, respectful and supportive.” The port continues to consult with five regional First Nation communities and recently bought a 15-seat passenger van to provide public tours of the site. A community Family Day was also held to celebrate the big 5-0.